The relentless rise of digital has left most retail sectors grappling with how to maintain relevancy for the bricks-and-mortar component of their offer. The banking sector is no exception – indeed it’s one of the best examples of how (or not) to solve the conundrum between a physical presence and a cost-effective online transaction. At RBR’s recent ‘Branch Transformation’ conference in London, 510 banking delegates from around the world gathered for 2 days of talks on the subject, and I-AM’s Group Managing Director, Jon Blakeney, was one of the speakers. Jon used his talk to focus on one of the industry’s trending topics: ‘The branch of the future’. 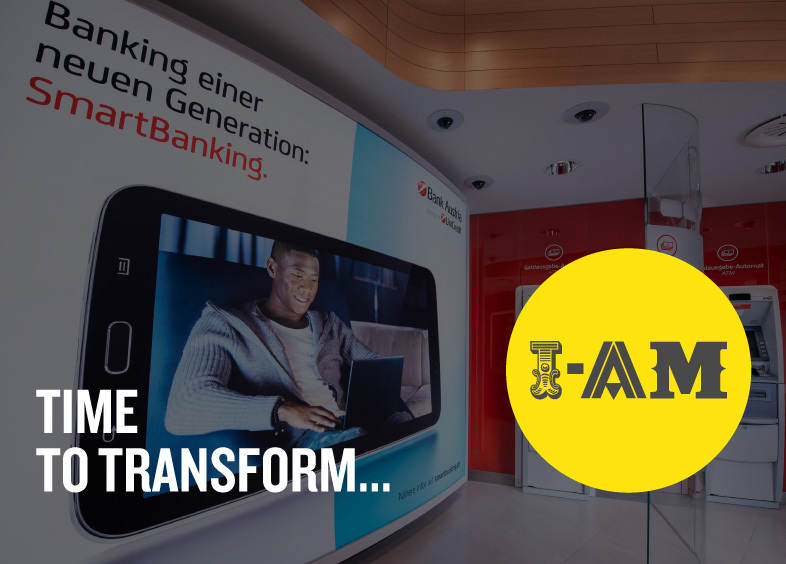 While most bankers believe that branches are the best environment for serving and selling, many banks seem to feel the need to over-correct the natural tendency towards digital transactions, and in so doing they invest in unnecessarily elaborate flagship branches. Who are you trying to impress: Your board? Your competitors? Or your customers? How much do your customers actually want to be ‘impressed’, as opposed to being given the service they want/need? Do you fully understand your customers’ profiles and their various banking ‘missions’? Have you created an efficient format strategy to cater to your diverse customer segments and their respective missions? Is your network strategy smart enough to engage with each customer segment in their preferred location? Have you created an intelligent modular approach to cost-effectively roll out your preferred formats across the network? Does each branch format deliver the best customer experience to make existing customers happy – and to attract new customers? Is your branch network seamlessly interwoven with your other banking channels? Have you created the optimal omni channel strategy to allow your customers to switch from one channel to another whenever suits them? Referencing some of the many customer-centric bank design projects that I-AM have delivered over the years, Jon argued that ‘keeping up with the Joneses’ is the wrong approach to branch transformation. Instead, prioritising customer insight and local market knowledge means that banks can design branches that exceed customer expectations and deliver the right bank for today, in whatever form that might take.